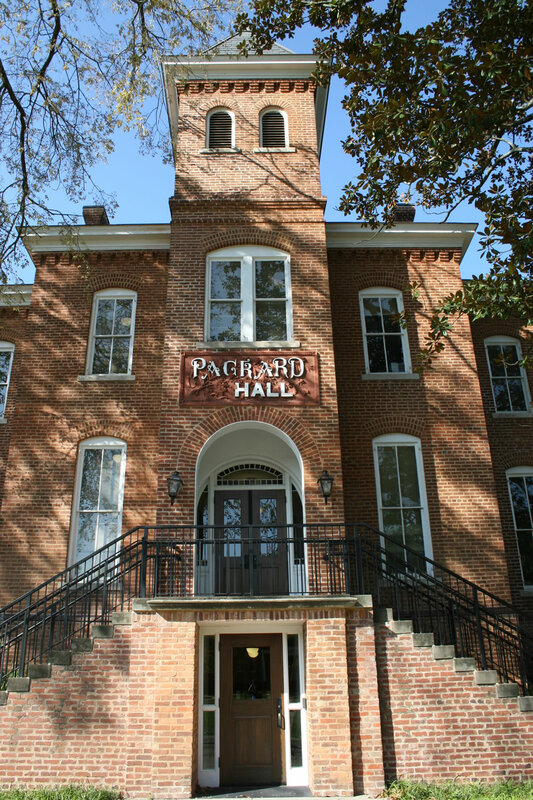 Spelman College is extremely pleased with the renovation of Packard Hall. The exterior of the building was preserved and the added stair towers skillfully complement the character and form of the original building. This facility was envisioned as a ‘one-stop shopping’ center for student services and is the home to the Offices of Financial Aid, the Registrar, the Controller and the Office of Admissions. The building is working well to achieve this goal and is holding up well under the frequent traffic of our 2,100 students. Circa 1887, Packard Hall is the second oldest building on Spelman’s campus and also one of the original buildings located on the school’s historic quadrangle. The building once housed the virtually the entire campus and has more recently served as a residence hall. Partially funded by a grant from the Historic Preservation Initiative for Historic Black Colleges and Universities administered by the National Park Service, the project involved an extensive restoration of the building’s exterior, program configuration from a dormitory to administration offices, and the addition of stair wings. To preserve the building’s original character while providing a modern, efficient, and comfortable work environment, late 20th century stair tower additions were removed and replaced with more contextually appropriate structures. This strategy allowed the design team to uncover bricked-in openings and regain original windows and associated the natural light with original views. The transparent glass connection between the original building and the new stair towers creates a minimal and delicate juncture between new and original construction while maintaining and enhancing views of the historic quadrangle. Brick re-pointing using the original flush joint, based on a full petrographic analysis of the original mortar, was also incorporated into the project. New brick on the stair tower incorporates a struck joint as physical evidence of construction at a different time period.